This is a 2013 One show project that was awarded 2 merits. 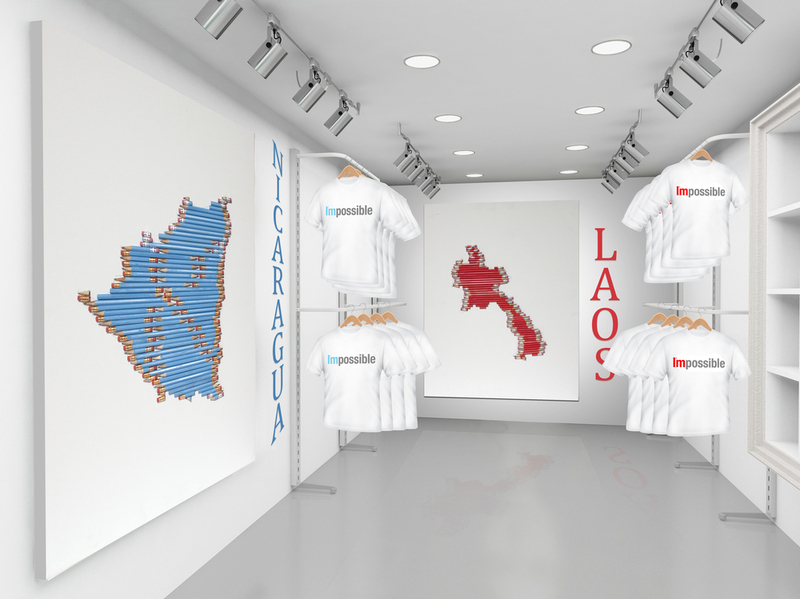 The campaign is based on the word I’mpossilble (read as I’m possible or Impossible) The print ads call to action is to build awareness and fundraising for building sustainable education in Nicaragua, Laos, and Guatemala. The countries are all differentiated by color. The link on the ads take you to the pencil store micro site where you can find a store location or donate by buying pencils or shirts online. The proceeds go to the country of your choice.